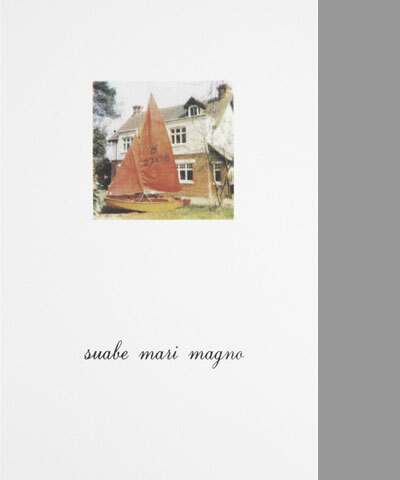 The words in Latin are from a piece of graffiti found inscribed on a wall at Pompeii which apparently translates as 'It is sweet on the great sea'. The town of Pompeii, near Naples, was destroyed after Mount Vesuvius erupted in AD 79. The words are possibly a fragment of the opening lines to Book II of Lucretius' De Rerum Natura (The Nature of Things). 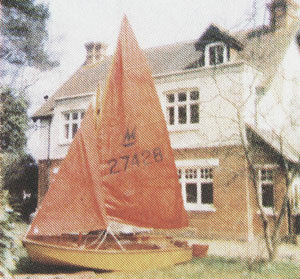 The boat is a hand-built Daily Mirror dinghy, c. 1973, photographed fully rigged in the front garden just after my father had finished work on it and before its maiden voyage.